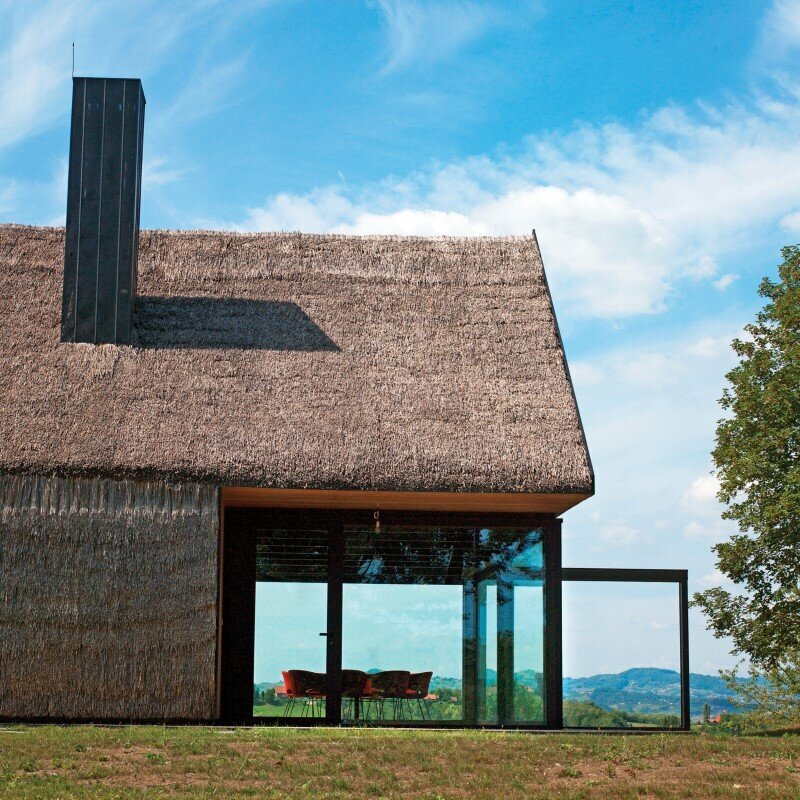 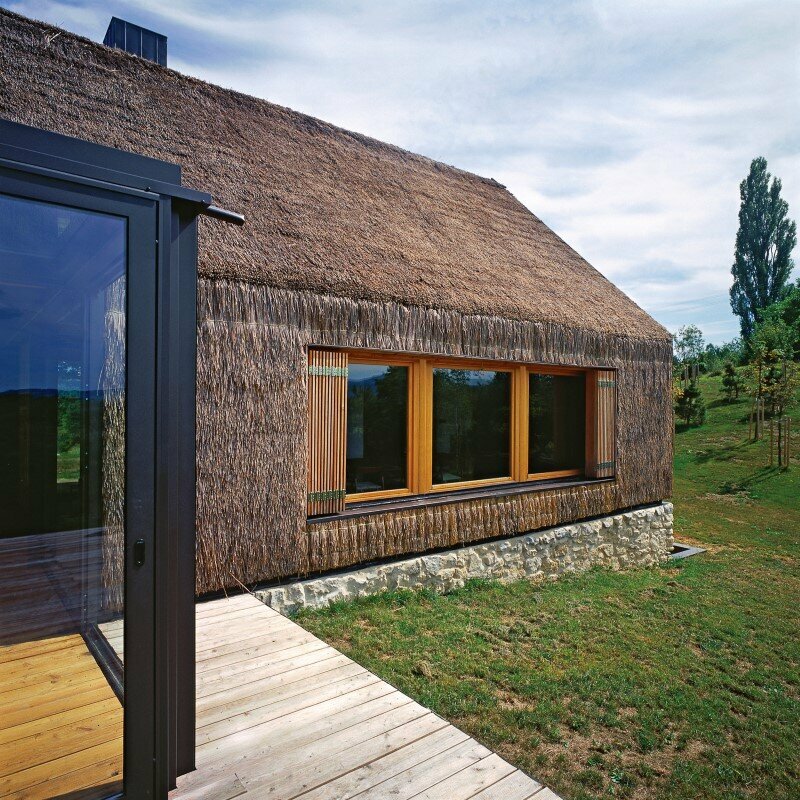 Hiza is a cottage designed by Zagreb-based Proarh Studio (founded by architect Davor Matekovic). 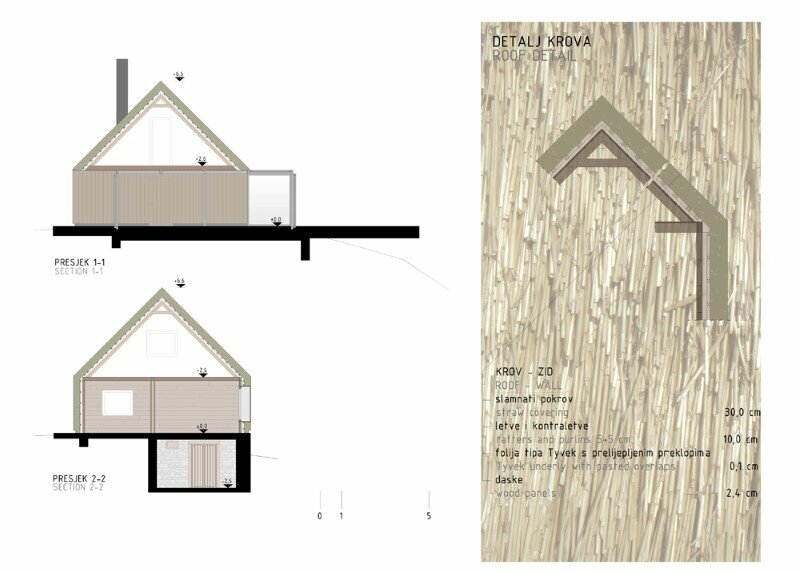 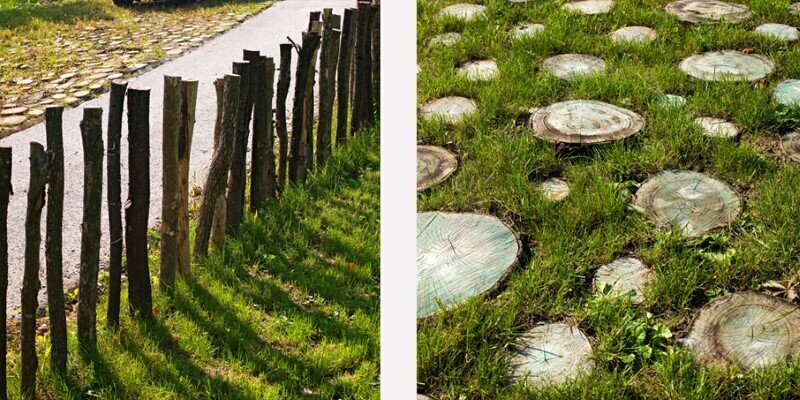 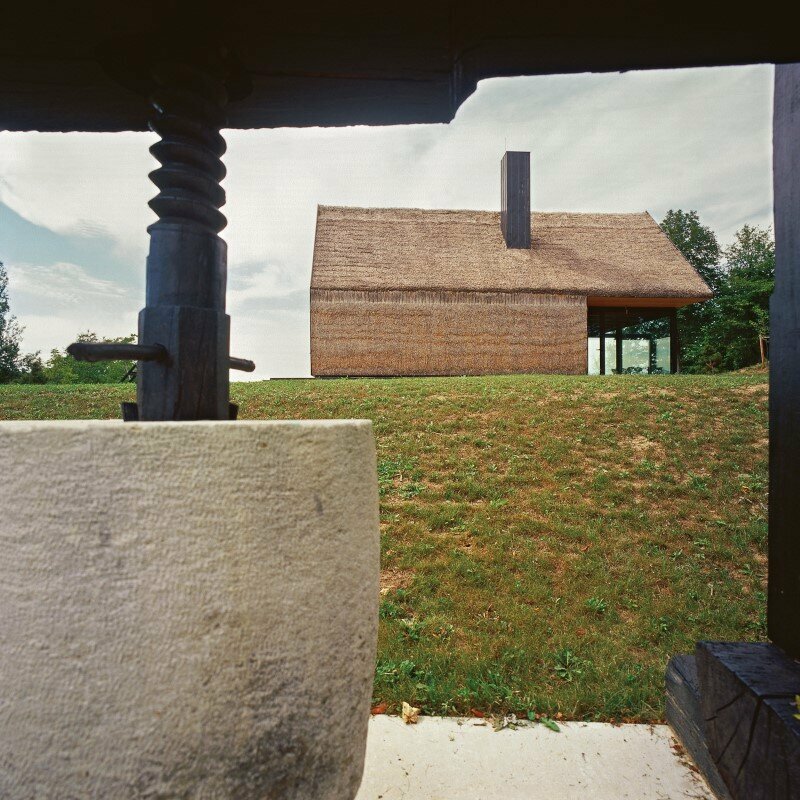 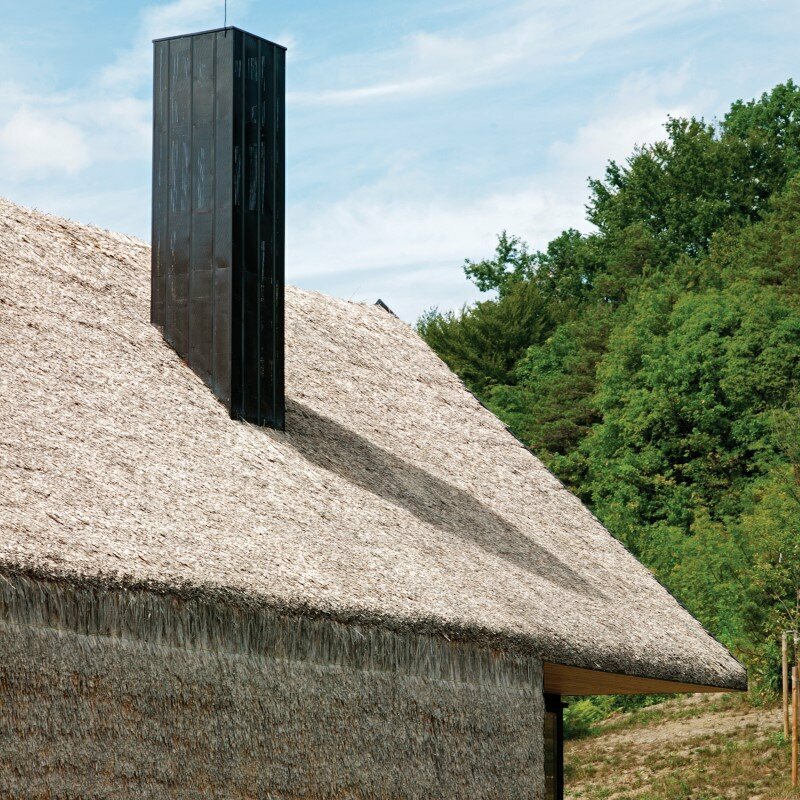 The objective of the project was a contemporary reinterpretation of traditional cottage architecture from the region Zagorje, Croatia. 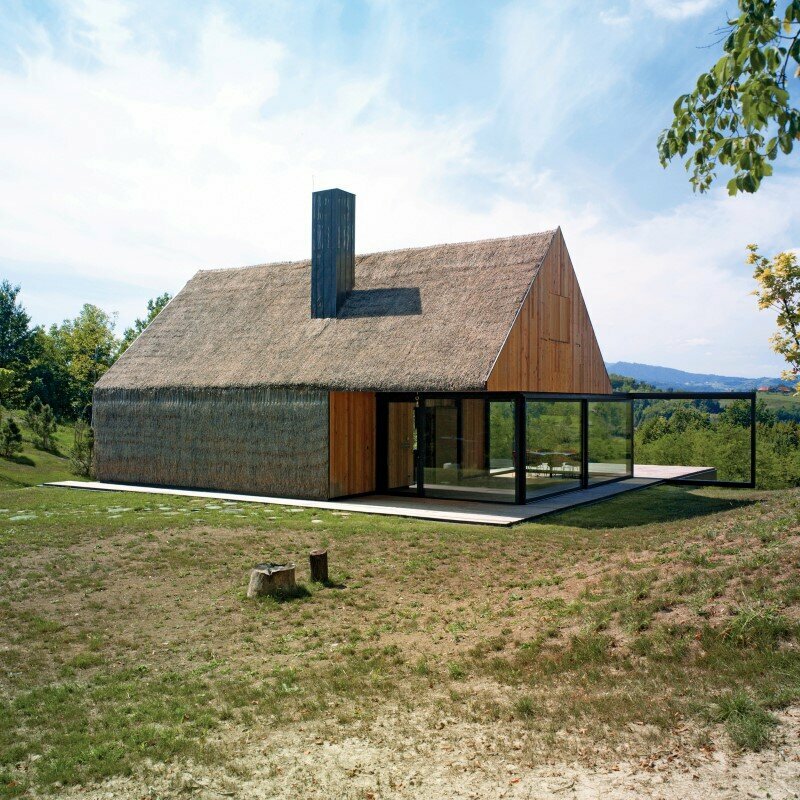 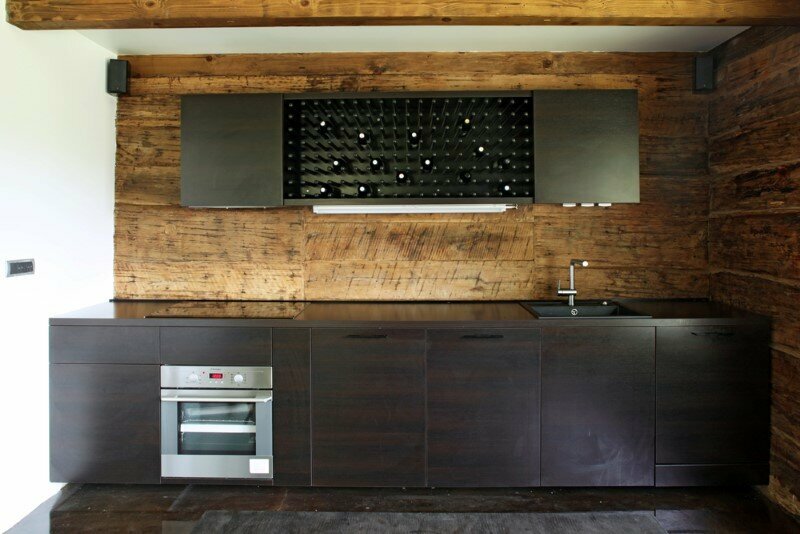 The cottage has an area of 230 sqm and is located in Kumrovec, Croatia. 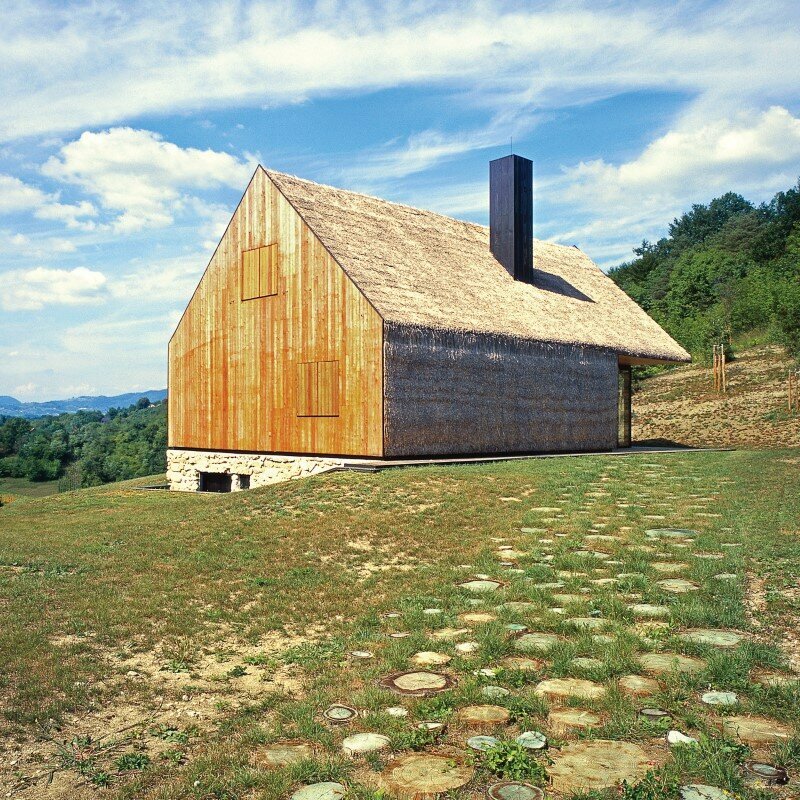 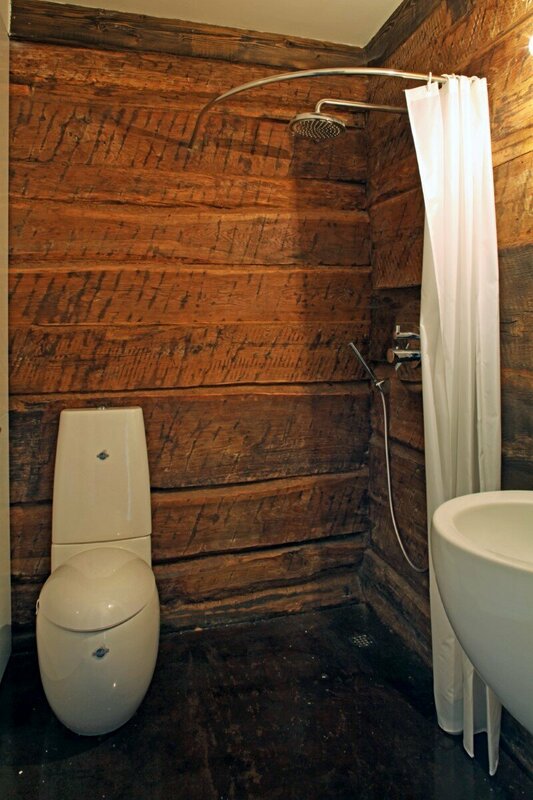 Description by Proarh: The pre-existing traditional Zagorje cottage is situated on the green slopes near Kumrovec and was structurally and statically in poor condition. 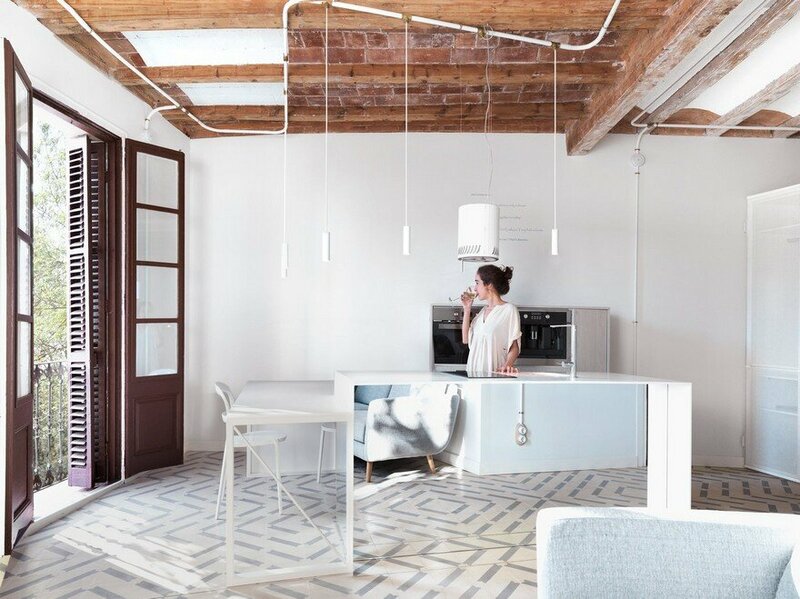 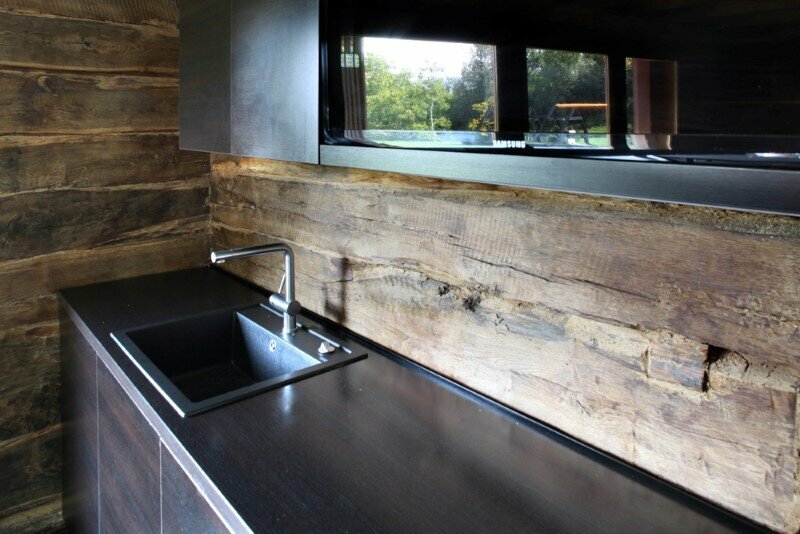 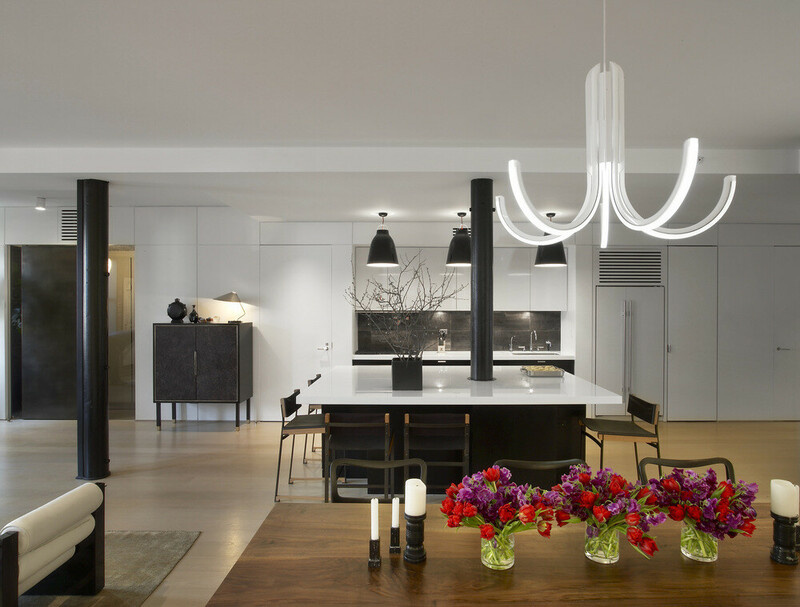 It was renovated taking into consideration the characteristics of local heritage and design. 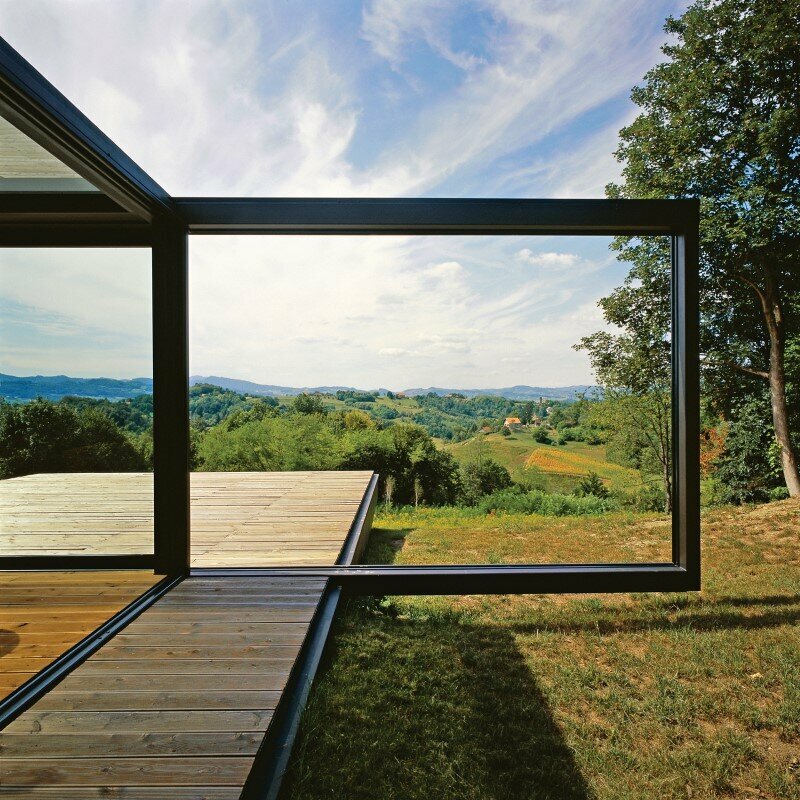 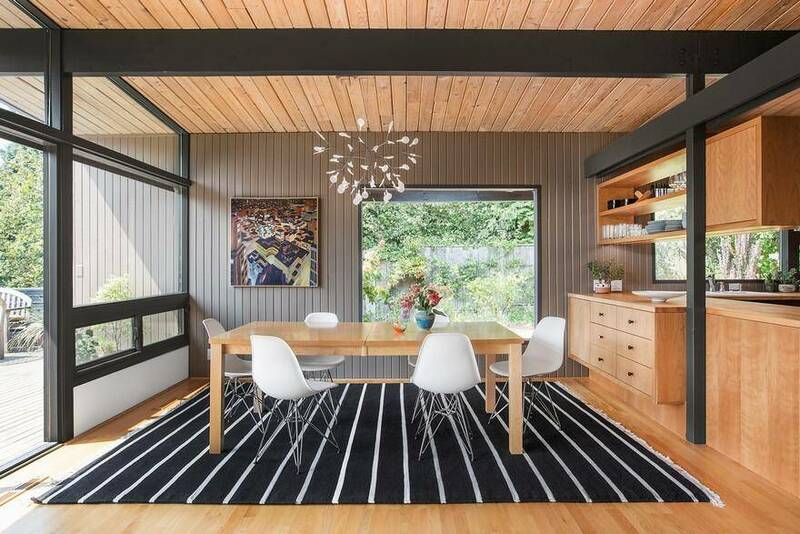 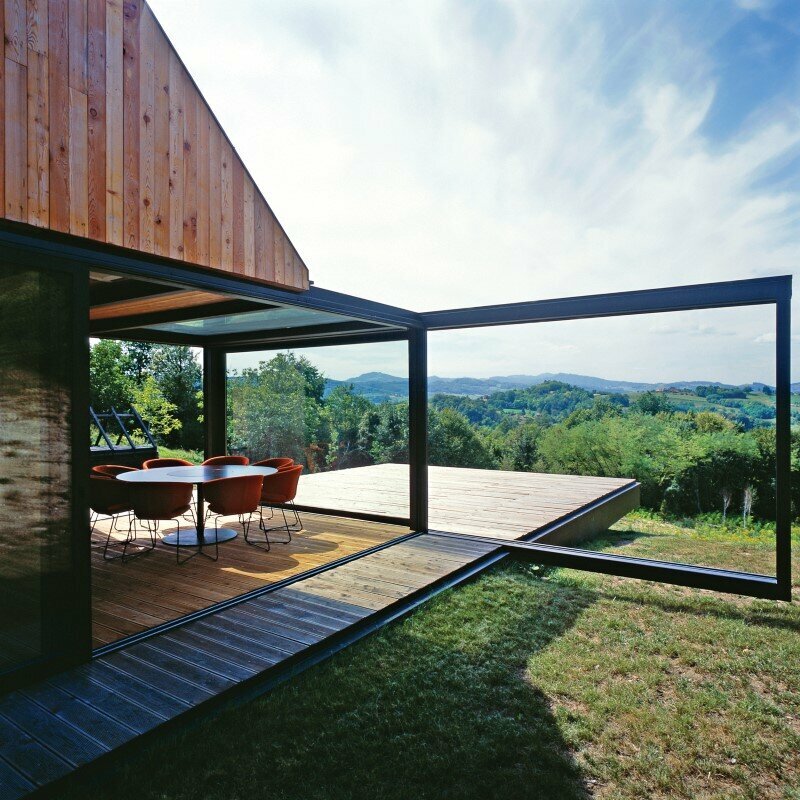 The pre-existing house form is kept, while the porch is substituted with a glass cube. 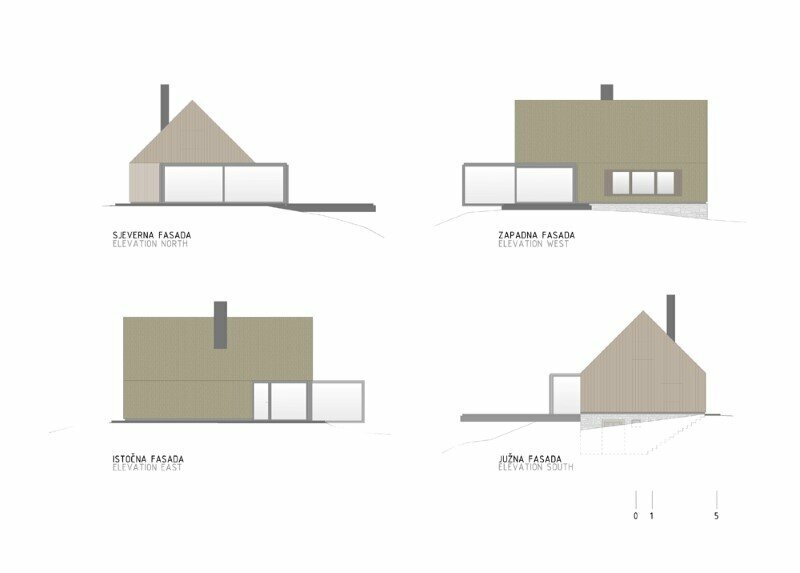 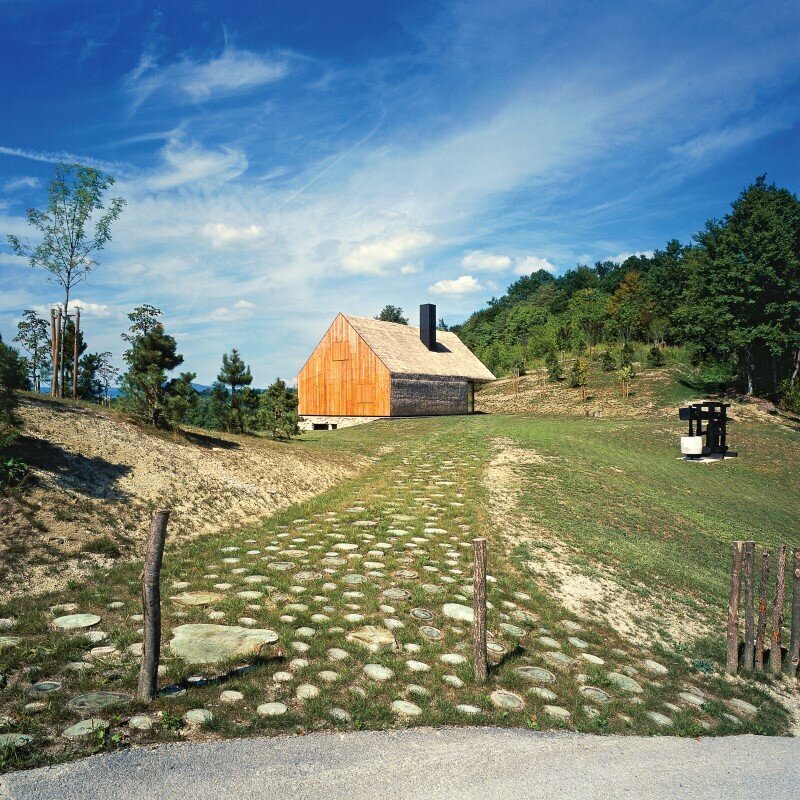 To give the cottage southern exposure, the glass form is slided out of the main house volume, simultaneously forming an entrance area. 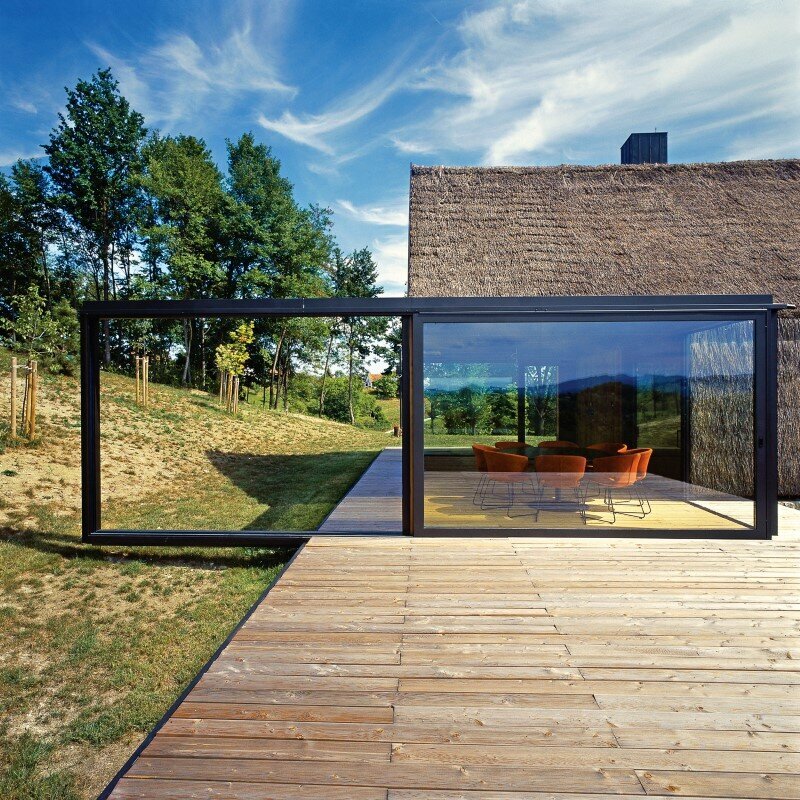 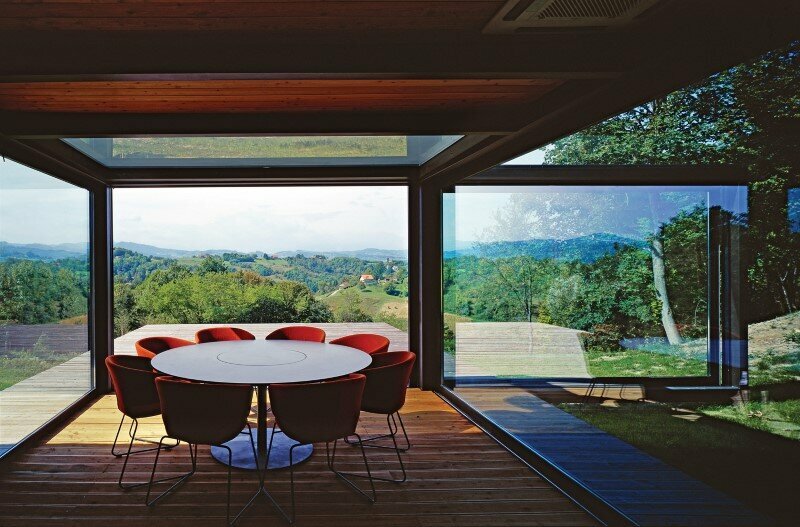 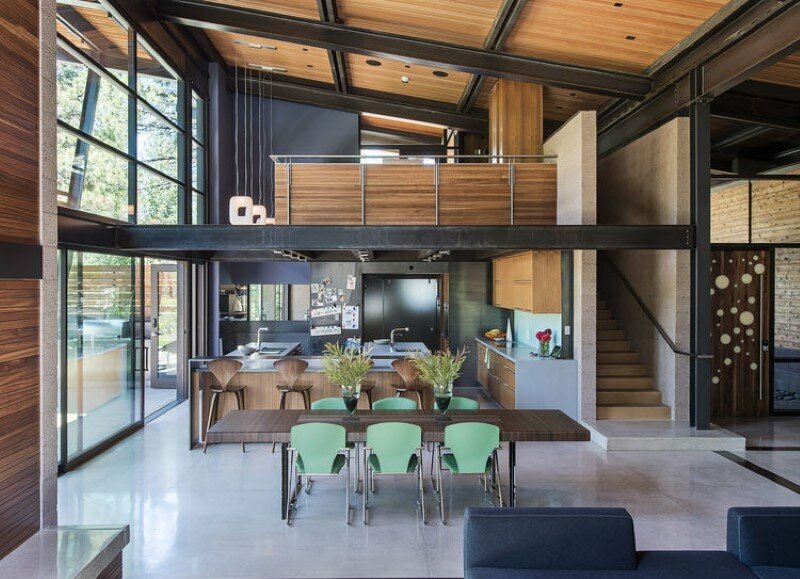 Interaction of interior and exterior spaces is enabled by opening of the glass walls. 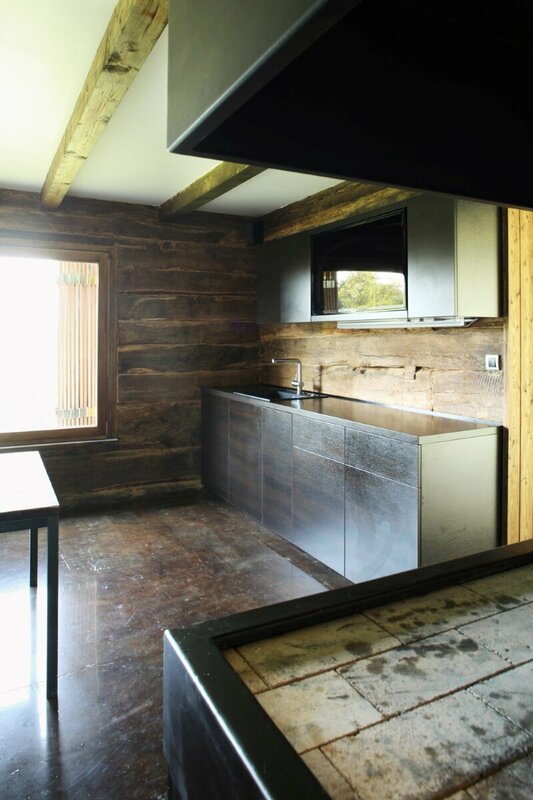 The cottage consists of three floors: the basement, ground floor and 1st floor, which is comprised of the essential living spaces- leisure/dining/cooking on ground floor and sleeping areas on the 1st floor. 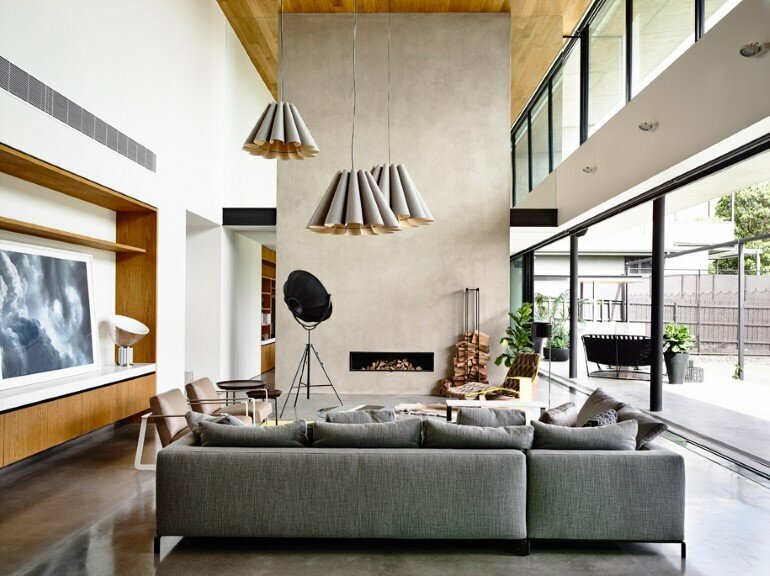 Ground floor spaces are then arranged following a traditional system of organisation that creates a common zone with the ‘hearth’ . 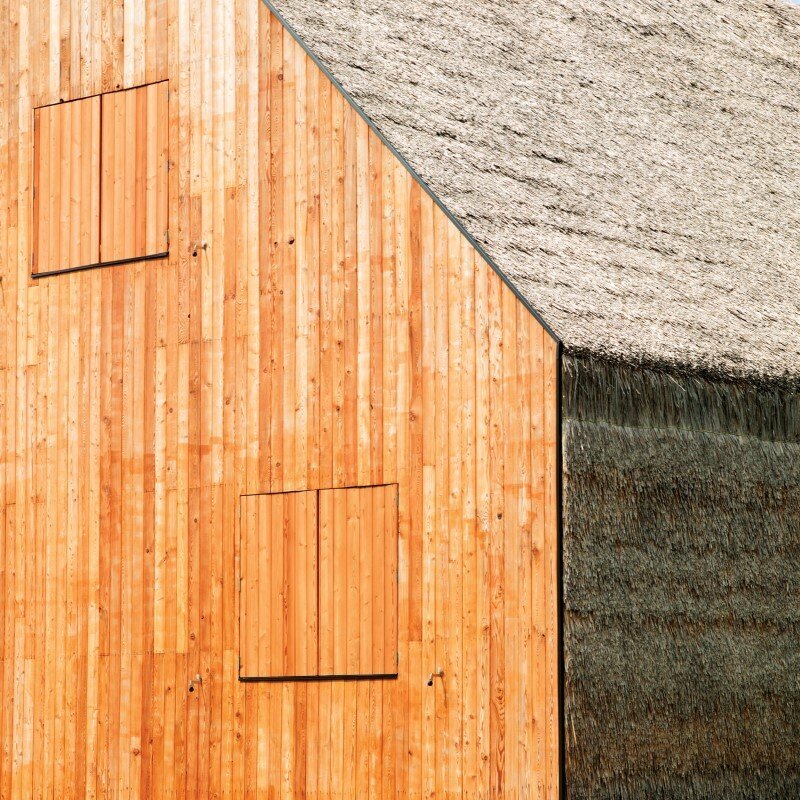 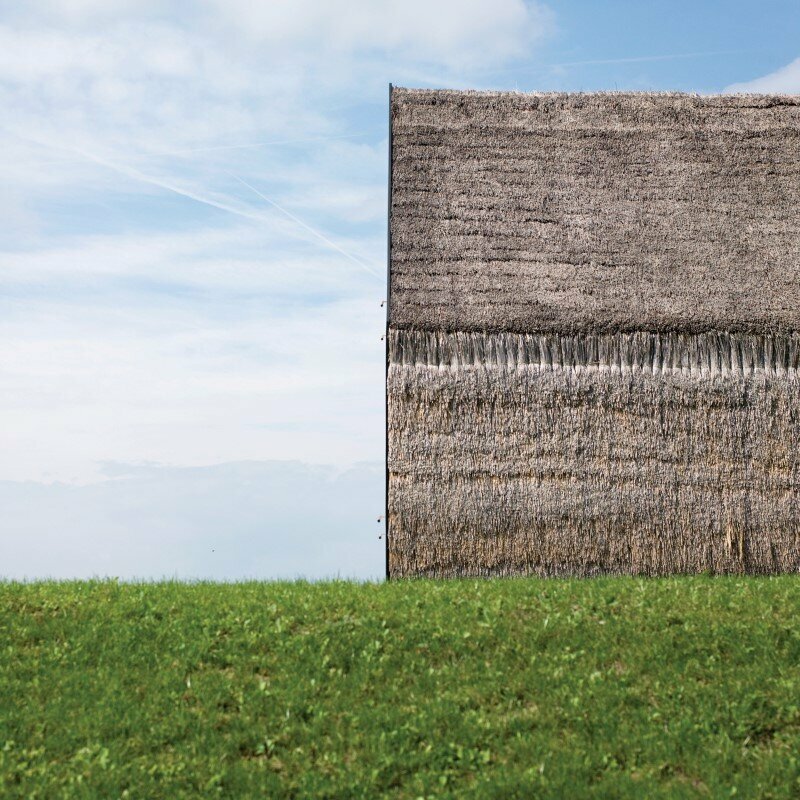 The straw covering on the roof is replaced with a new one and extended over the facade, while the gables are newly wood-lined.